Steven Worker conducts extension, education, and applied research to support youth in reaching their fullest potential. He provides academic leadership to 4-H Youth Development clubs, camps, and programs facilitated by 600 adult volunteers serving over 3,000 youth. Worker's academic responsibilities include developing, implementing, and evaluating educational programs and conducting applied research around youth development; informal science education; and access, equity, and diversity. Previously: 4-H Science, Technology, Engineering, and Mathematics (STEM) Coordinator (2009-2016): Worker managed professional and volunteer development for science educators, coordinated program and curriculum development and evaluation, and resource development. His work drew upon inquiry and experientially-based pedagogies grounded in a positive youth development approach. Worker co-authored two nationally peer-reviewed and published curricula, There’s No New Water! and Junk Drawer Robotics, along with a California curricula, iThrive: Leadership, Science & Me! State 4-H Program Representative (2001-2009): Worker provided leadership to the 4-H State Leadership Conference, 4-H State Ambassador program, 4-H Record Book, 4-H Technology Leadership Team, and other statewide 4-H adolescent leadership development and recognition programs. Worker is a 4-H alumni from Santa Barbara County (1991-1999). He served as a 4-H All Star (1996-1998), earned his Emerald Star (1995), was a 4-H camp counselor, attended the 1998 National 4-H Conference, and served as a State 4-H Diamond Star (1998-1999; renamed now as "4-H State Ambassador"). In 1998, Worker founded the 4-H Technology Leadership Team, a group of youth and adults working to integrate technology into 4-H programming. Worker, S. M., Iaccopucci, A. M., Bird, M., & Horowitz, M. (2019). Promoting positive youth development through teens-as-teachers programs. Journal of Adolescent Research, 34(1), 30-54..
Smith, M., Worker, S., Meehan, C., Schmitt-McQuitty, L., Ambrose, A., Brian, K., & Schoenfelder, E. (2017). 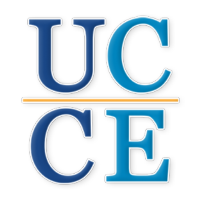 Defining and developing curricula in the context of Cooperative Extension. Journal of Extension, 55(2). Neelon, M., Brian, K., Iaccopucci, A. M., Lewis, K. M., & Worker, S. M. (2017, February). Development of a health survey instrument for 5- to 8-year-old youth. Journal of Extension, 55(1). Article 1TOT9..
Worker, S. M. (2017). Volunteer educators bring their own ideas about effective teaching to a 4-H curriculum. California Agriculture, 71(4), 208-213. Available from http://calag.ucanr.edu/Archive/?article=ca.2017a0021. Worker, S. M., Schmitt-McQuitty, L., Ambrose, A., Brian, K., Schoenfelder, E., & Smith, M. H. (2017). Multiple-methods needs assessment of California 4-H science education programming. Journal of Extension, 55(2). Smith, M. H., Worker, S. M., Schmitt-McQuitty, L., Meehan, C. L., Lewis, K. M., Schoenfelder, E., Brian, K. (2017, August). Prevalent approaches to educator professional development in state 4-H programs. Journal of Extension, 55(4). Worker, S. M., Ouellette, K. L., & Maille, A. (2017, May). Redefining the concept of learning in Cooperative Extension. Journal of Extension, 55(3). Article 3FEA3. Worker, S. M. (2016). Examining tensions among youth, adults, and curriculum as co-designers in 4-H STEM learning through design programs. In C. K. Looi, J. L., Polman, U. Cress, P. Reimann (Eds. ), Transforming Learning, Empowering Learners: The International Conference of the Learning Sciences (ICLS) 2016, Volume 1 (pp. 322-329). Singapore: International Society of the Learning Sciences. Lewis, K.M., & Worker, S.M. (2016). Youth and adult perceptions of a new technology in California 4-H: The online record book. Journal of Youth Development, 11(2). Lewis, K., & Worker, S. (2015). Examination of attitude and interest measures for 4-H science evaluation. Journal of Extension, 53(3). Worker, S.M., Hill, R.D., Miller, J.C., Go, C.G., & Boyes, R.J. (2015). Exploring the effectiveness of a retreat method for Extension staff. Journal of Extension, 53(6). Smith, M.H., Worker, S.M., Ambrose, A.P., & Schmitt-McQuitty, L. (2015). Including civic engagement as a competent of scientific literacy. Science Education and Civic Engagement: An International Journal, 7(2), 23-27. Lewis, K., Horrillo, S., Widaman, K., Worker, S., & Trzesniewski, K. (2015). National 4-H Common Measures: Initial evaluation from California 4-H. Journal of Extension, 53(2). Smith, M., Worker, S., Ambrose, A., & Schmitt-McQuitty, L. (2015). Scientific literacy: California 4-H defines it from citizens’ perspective. California Agriculture, 69(2), 92-97. Worker, S. (2014). Bers’s theory of Positive Technological Development. Journal of Youth Development, 9(1), 170-174. Worker, S.M. & Smith, M.H. (2014). Curriculum and professional development for OST science education: Lessons learned from California 4-H. Afterschool Matters, 20, 21-27. Worker, S. (2014). Design-based learning in a community-based youth program: Affordances for youth learning and development. In J.L. Poman, E.A. Kyza, D.K. O’Neill, I. Tabak, W.R. Penuel, A.S. Jurow, K. O’Connor, T. Lee, & L. D’Amico (Eds. ), Learning and Becoming in Practice: The International Conference of the Learning Sciences (ICLS) 2014 (Vol. 3, p. 1762). Boulder, CO: International Society of the Learning Sciences. Worker, S.M. (2014). Evaluating adolescent satisfaction of a 4-H leadership development conference. Journal of Extension, 52(2). Worker, S.M. (2013). Embracing scientific and engineering practices in 4-H. Journal of Extension, 51(3). Smith, M., Heck, K., & Worker, S. (2012). 4-H boosts youth scientific literacy with ANR water education curriculum. California Agriculture, 66(4), 158-163. Mahacek, R. & Worker, S. (2011). Extending science education with engineering and technology: Junk drawer robotics curriculum. In A. Subramaniam, K. Heck, R. Carlos, & S. Junge (Eds. ), Advances in youth development: Research and evaluation from the University of California Cooperative Extension 2001-2010 (pp. 46-57). University of California Agriculture and Natural Resources. Worker, Steven (2016). Volunteer educators’ influence on youth participation and learning in 4-H STEM learning by design programs (Doctoral dissertation). Retrieved from PQDT Open (ISBN 9781369201710). University of California, Davis. Worker, Steven; Mahacek, Richard, et al. ; Wheeler, Tara; Frerichs, Saundra (2014). Engineering for Everyone: 4-H's Junk Drawer Robotics Curriculum. The Go-To Guide for Engineering Curricula PreK-5: Choosing and Using the Best Instructional Materials for Your Students.C. Schneider. Worker, Steven; Miner, Gemma, et al. ; Horrillo, Shannon (2013). iChampion 3 and iThrive 3 in science, engineering and technology curiculum. 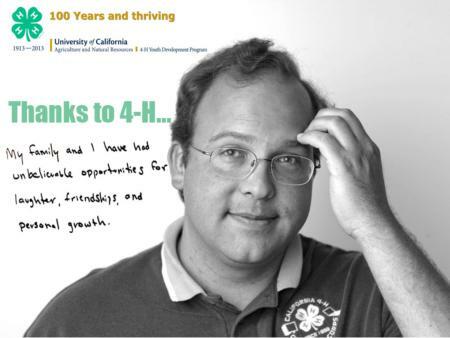 University of California Division of Agriculture and Natural Resources, 4-H Youth Development Program. Mahacek, R.; Worker, S., et al. ; Mahacek, A.; al., et (2011). 4-H Robotics: Engineering for today and tomorrow – Track 2: Junk drawer robotics. Chevy Chase, MD, National 4-H Council. Smith, M.; Worker, S., et al. ; al., et (2010). There's No New Water! Curriculum. Chevy Chase, MD, National 4-H Council. Worker, S. (2007). Factors influencing risk perception: A housing development case study. Thesis, M.S. University of California.